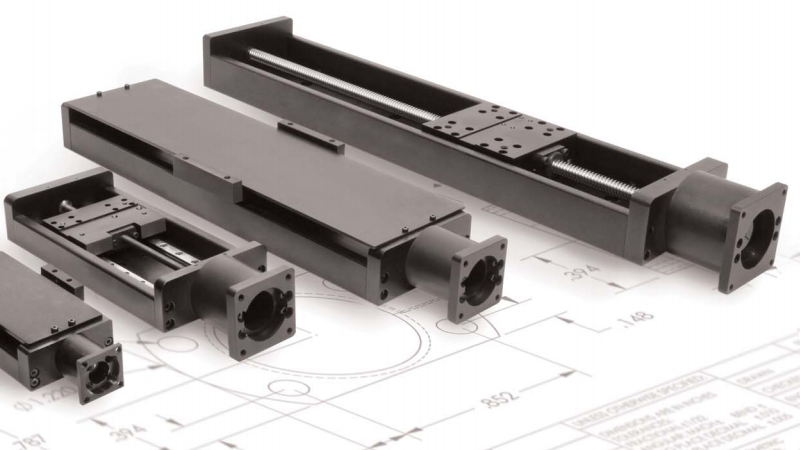 Low Profile Linear Actuators – Del-Tron Precision, Inc.
Electric cylinders offer smoother motion control as well as more positioning points than hydraulic or pneumatic actuators. In addition, electric cylinders have higher accuracy, better work efficiency, easy installation and a longer service life. Research on electric cylinders has delivered improvements in force, environmental parameters, and dynamic response that have enabled electric cylinders to serve applications formally dominated by pneumatic and hydraulic linear actuators. Electric linear actuators are quickly replacing pneumatic and hydraulic actuators because they save money by reducing unnecessary energy consumption within plants, vastly improved control and flexibility, are beneficial for multi-positional tasks, and provide no health and environmental issues due to high noise levels. Well-suited for applications requiring tight tolerances, typical applications for electric cylinders include automatic sliding of a TV into a cabinet, raising and lowering tractor attachments, die bonding, industrial automation processes, electrical testing equipment, and wastewater treatment. Electric linear actuators utilize valves such as globe, gate, diaphragm, angle, and pinch that feature a sliding screw or rod that closes or opens the valve. There are three main types of screw assemblies through which electric cylinders provide linear motion including motor driven ball screw, lead screw, and ACME screw. Motor driven ball screws are ball nut and power screw combinations with ball bearings that ride between the screw and the nut in a recirculating track when the actuator is in motion. ACME screw assemblies are screws that have matching threads on both the nut and the screw. Lead screw assemblies are the simplest form with a lead screw and a drive nut. In each assembly the load is attached to the end of the lead screw, or rod ends, and is unsupported. A thrust tube attaches to the rod ends as well as to the nut on the screw and stops rotation with a guide bearing. The screw can be powered by either a belt drive, geared drive, or direct drive and is self-locking. The drives connect the motor to the electric cylinder. Typical motors that power the electric cylinder include stepper, brushed DC or brushless servomotors.The motor can be attached to the side of the electric cylinder housing or on top of the guide cylinder which contains the screw assembly. Electric Cylinders Electric cylinders, or electric linear actuators, are devices that produce electromechanical linear motion by converting electrical energy into mechanical energy.